WASHINGTON Spending on U.S. construction projects rose in April despite weakness in residential projects and government spending. Construction spending rose 0.4 percent in April, compared with March, when spending fell a revised 0.8 percent, the Commerce Department reported Monday. Construction activity has been volatile in recent months, falling by a record 4 percent in January, but rising in February only to drop in March. Construction spending stood at a seasonally adjusted annual rate of $860.8 billion in April, 4.3 percent higher than a year ago. In April, private residential construction edged down a slight 0.1 percent, reflecting a drop in renovation. 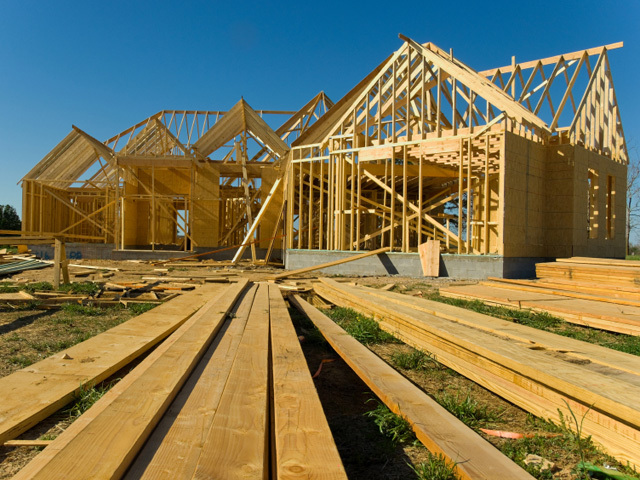 Spending on both new single-family homes and apartments increased. Nonresidential projects rose 2.2 percent in April but spending on government projects fell 1.2 percent. The small dip in private residential activity was likely to be temporary given all the indications of a strong rebound in housing over the past year. The April level of residential activity at annual rate of $301.9 billion represented an 18.8 percent increase from a year ago, the biggest gain of any major category. The 2.2 percent rise in nonresidential activity reflected strength in construction of hotels and motels and a gain in the category that includes shopping centers. The 1.2 percent decline in public construction pushed activity down to an annual rate of $258.8 billion, the slowest pace since October 2006. Spending on government building projects has been constrained by the budget problems all levels of government have faced since the deep 2007-2009 recession. Activity at the state and local level was down 1.3 percent in April while spending on federal building projects dipped a smaller 0.1 percent. For all of 2012, construction spending increased 9.8 percent. That marked the first annual gain after five straight years of declines. Construction spending is still well below healthy levels although housing is helping to support building activity in the face of the weakness in government projects. Steady hiring and nearly record-low mortgage rates have encouraged more Americans to buy homes. More people are also moving out on their own after living with friends and relatives in the recession. That's driving a big gain in apartment construction and also pushing up rents. New-home sales rose 2.3 percent in April, only slightly below January's pace which had been the fastest since July 2008.